the kids in Health class who have to take care of a “baby egg” for a week. 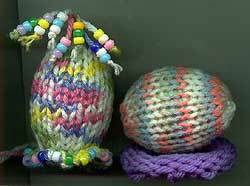 then you can unravel and reuse the yarn later. Image and pattern Copyright Ann Yotter, all rights reserved.